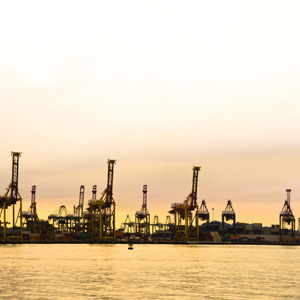 Singapore is relocating its transhipment port operations to Tuas in 10 years’ time, Minister of Transport Lui Tuck Yew announced earlier this week. Singapore company registration specialist Rikvin lauds the move, stating that this will further boost Singapore’s already thriving maritime sector and reinforce the city-state’s reputation as a leading international port. Located close to the Republic’s industrial center, Tuas is a new port development that can handle up to 65 million twenty-foot equivalent units (TEUs) annually, nearly double the 35 million TEU capacity of the city-state’s current PSA terminals. The first phase of Tuas is scheduled to open in 10 years, just in time for the 2027 expiration of the leases for Singapore’s city terminals at Tanjong Pagar, Keppel, and Pulau Brani. In the long term, the newly completed Terminals 1 and 2 of Pasir Panjang will be merged in Tuas as well. However, in the interim, port operator PSA Singapore will be proceeding with Phases 3 and 4 of the Pasir Panjang development, which will have 250 hectares of terminal space, plus 15 new berths and approximately 6km of quay length. The Pasir Panjang expansion, which is estimated to cost about $3.5 billion, will increase PSA Singapore’s maximum draft from 16 to 18 meters to accommodate a new wave of mega-sized containerships that can carry 18,000 20-foot containers. By 2020, both phases will add 15 million TEUs of capacity, bringing the port total to 50 million TEUs. This, however, is still less than the projected capacity for the Tuas Port, which, upon completion, can handle 15 million more container boxes. In addition, according to Minister Lui, consolidating all transhipment operations to Tuas will bolster efficiency and economies of scale, eliminating the need for inter-terminal transfers, for example. A centralized system will therefore accrue enormous savings in time and expenditures for port operations, ultimately increasing efficiency and productivity. Meanwhile, Singapore continues to improve its maritime industry by funding research on port system automation as well as optimizing techniques and technologies through the Port Technology Research and Development Programme.